shattered dreams and uncertain future. One night, she happens into a small-town pub and, on a whim, takes a job singing, finding solace and a measure of peace in her music. She settles in the town, and from that small beginning finds love, a new life and a new reason for living. My first book, The Librarian, was a revenge thriller. While it would have been easier to write a sequel or another novel in the same genre that would appeal to the same audience, I wanted to try something different – something more thoughtful and character driven. 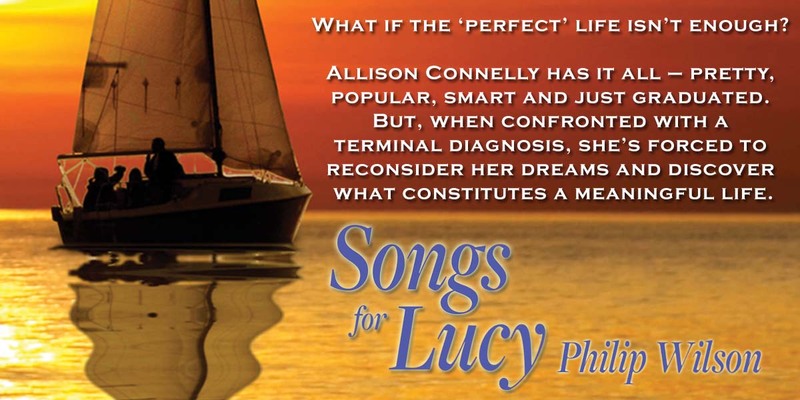 The result, Songs for Lucy, is not the kind of book I would normally choose to read, and certainly not the kind of book I would ever have imagined writing. That said, I thoroughly enjoyed writing it, and I like it. I’ve come to believe that if you can come up with a powerful and distinctive storyline, you’re halfway to writing a good novel before you type the first word. Conversely, if the storyline is uninspiring, it’s very tough to turn it into a good novel. As a consequence, I spend a lot of time just thinking about possible storylines long before I even start to write. The inspiration behind The Librarian was probably The Count of Monte Cristo, an obviously successful revenge thriller. 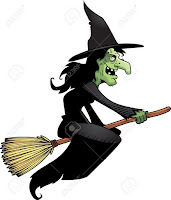 I decided that a female protagonist would be an intriguing twist. I’m not sure where the inspiration for Songs for Lucy came from. I wanted to write something quite different from The Librarian and contemplated but rejected several possibilities before deciding on the storyline I used. Yes. This surprised me as it’s not the genre I would typically read, nor one I would have expected to be comfortable writing. I’m not sure why I found it easy. Perhaps I liked the characters and they just pulled the story along. There’s probably a bit of me in Jack – at least on an aspirational level. Lucy, Jack’s nine-year-old niece, was conceived as a minor character but evolved into playing a major role. Terri Wright, a young woman Allison meets at the hospice, faces her terminal diagnosis with courage and an absolute determination to make every day count. Marion Siegel, Allison’s aunt, is tough, principled, and compassionate, and willing to defy both her husband and Allison’s doctor to ensure Allison has choices. The characters seemed to carry the story forward as I was writing. No. Songs for Lucy represented a significant change in genre and I enjoyed writing it, so I think I’ll keep an open mid to exploring other genres. It varies. Usually on a couch with my laptop on my lap. Never at a desk. I probably spend more time thinking than writing (about plot, subplots, characters, etc.) and I can do that anywhere. Mainly books I’ve read. Some really worked for me and I wanted to see if I could write something that would have the same effect on my readers. Some didn’t work (including many best sellers) and left me feeling I could do better, or at least try to do so. Have a question for Mr. Wilson? Leave a comment. I know I cannot write a review worthy of this book. That's how good it is. It is full of both sadness and happiness. It's an enjoyable read about people trying to live with the loss of loved ones or maybe even worse, the knowledge that they will soon lose a person they love. The waiting and knowing must be so hard to manage. Sounds crazy to call this an enjoyable read but while no subject about death can ever be enjoyable, it was handled better here than I ever thought such a subject could be. This story has a little bit of everything...family relationships, a love story, music, tennis, sailing, laughter, and the vast differences in so many of our lives. There are people with money in this story and people without. Sadly, there are people who must face the end of their lives almost completely alone and yet there are those who make the best friends of their entire lives. I've talked a lot about what I loved reading about in this book but I should also discuss the reason it is so enjoyable to read. The characters become so real; so much so that you laugh with them and cry with them. The scenery is described well enough that you are sitting there, whether it's the bench looking out over the ocean at Second Journey or in the little coastal town of Mackenzie Cove. I have never seen a subject that most people do everything they can to avoid, written as a story this well. A story you will want to read and one that might even make you discuss some of those tough issues a little. Wilson has another book titled “The Librarian” which I intend to read right away. I suggest you do the same after you read this wonderful book. Philip Wilson is a retired financial executive who spends winters in Florida and summers sailing on the Great Lakes in his 32-foot sailboat. 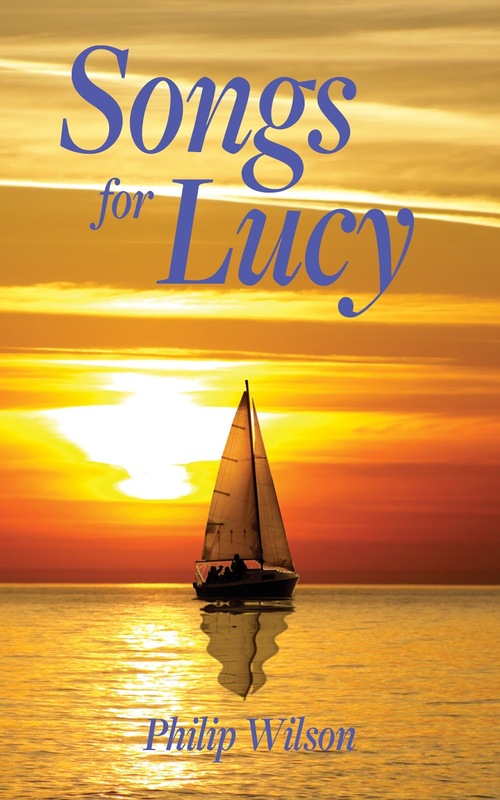 Songs for Lucy is his second book. His first, The Librarian, was rated one of the best reviewed books of 2017 by IndieReader and featured in the Huffington Post. Learn more at www.philipmwilson.com. Good morning Mr. Wilson, as you can tell from my review I just fell in love with your book. Hope everyone gives it a chance and reads it. P.S. Not usually such a cheerleader but this was really a special book.